Phytobuste + decollete is an intensive firming bust compound to preserve the beauty of the bust, a particularly fragile and delicate zone. An immediate toning effect: Oat seeds extract smoothes the decollete and immediately firms up the breast, for a sensation of a smoother, more toned bust in a few minutes. 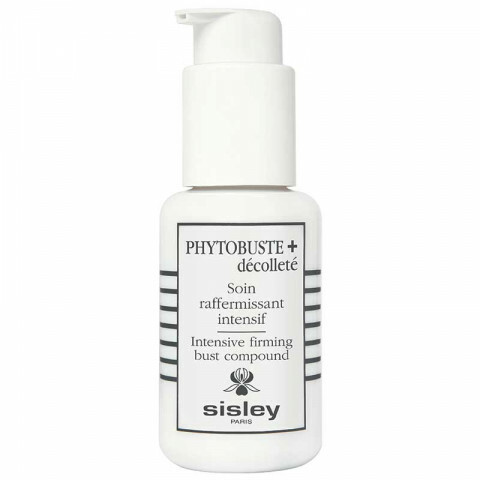 The sculpting texture of Phytobuste + decollete reinforces the immediate toning effect. A long-term firming action: the new firming Phyto-Complex with extracts of Centella asiatica and Walnut Tree helps improve the skin's elasticity while Rye extract optimizes the mechanical resistance of the dermis*, especially to gravity, and gives tonicity and resilience to the skin. An instant supply of moisture and nutrition: Shea butter, Sunflower oil and Glycerin of vegetable origin, moisturize, nourish and beautify the skin. From the first application, the skin of the decollete is smoothed and intensely moisturized. With repeated applications, the breasts are more sculpted and the bust's natural support is reinforced. Its fresh and sculpting texture is rapidly absorbed. I started using this product about 6 weeks ago, and began to see results immediately, and continue to see improvement every week! I look over 10 years younger (as I am told on a daily basis), and am now smiling everytime I see my reflection. This product firms and tones the girls! Absorbs easily and feels nice on the skin.